As the superintendent of Calvary Chapel Schools and the principal of Calvary Chapel High School, I would like to welcome you! Calvary Chapel Schools is a great place for students to learn, grow and be equipped for the calling of God on their life. Whether that calling is in technology, business, marketing, medicine, or ministry, we want every student to be ready for the next step. Our graduates attend schools from UCLA to MIT, from Biola to Point Loma, from Orange Coast College to Calvary Chapel Bible College. We have alumni in the ministry and the military, and we are proud of each one of them! We believe that God has expressly called us to build tomorrow’s Christian leaders today. Our world needs Christian leaders that think critically, that walk in integrity, that care about people deeply, and that follow Christ passionately. It is our goal to engage, equip, and empower our students to lead and serve in Christ and the world. With loving and professional teachers, relevant chapels, international missions opportunities, and great athletics, Calvary Chapel Schools gives every student life changing opportunities. 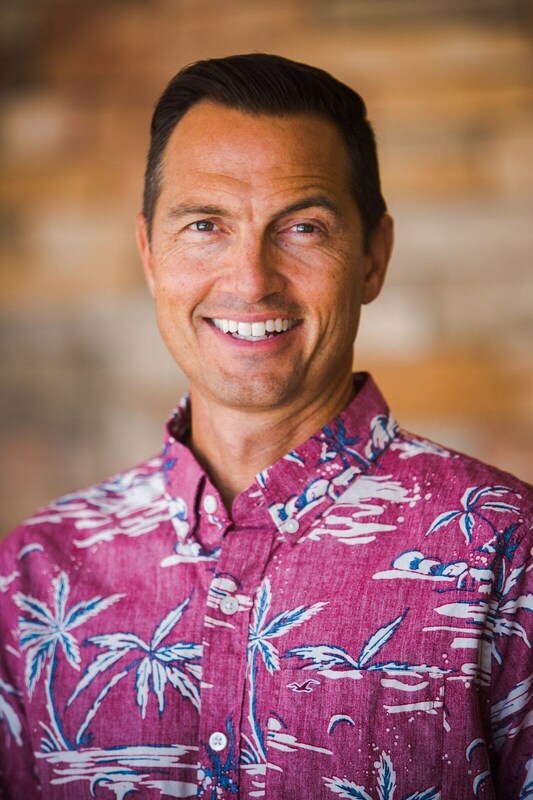 I have served for more than twenty years at Calvary Chapel Schools in various positions. My experiences of teaching sixth grade, administrating as the junior high principal, coaching, and most recently teaching Bible and two dual-enrollment college courses has given me a very unique and well rounded perspective regarding our school. I am very aware of the importance of a healthy school culture, of the need for communication, and the value of all our schools working together. Personally, I hold a BS in Human Development, a BA in Biblical Theology, and a Masters in Education. I am also an ordained Calvary Chapel pastor. My wife and I have been happily married for twenty-four years, and we have three sons that all have attended and still attend Calvary Chapel schools. I am fully invested in Calvary Chapel Schools, and I place a strong emphasis on academic excellence, athletic competition, spiritual formation, and personal relationships. Our recent six year WASC accreditation for the high school and junior high was a strong testimony to the hard work and dedication of our amazing staff. The elementary school’s recent addition of a STEAM lab, Accelerated Reader program, and a brand new playground demonstrate our commitment to growth and making our schools the best we can be. We will continue providing a top level educational program, a strong athletic experience, and a loving, Christ-centered, spiritual foundation. As parents, our children are the most valuable gift that God has given us. I would encourage you to invest in your child’s future by joining the Calvary family! You will join the hundreds of other families who share a part in the legacy of Calvary Chapel Schools!